WHAT IS AN ETHICAL INSPECTOR? An Ethical Inspector is a home inspector who is committed to delivering extraordinary service to the clients and agents to which they work. To do this, an Ethical Inspector brings the highest levels of training, respect for the importance of effective communication, and a commitment to adhering to a strict code of ethics. 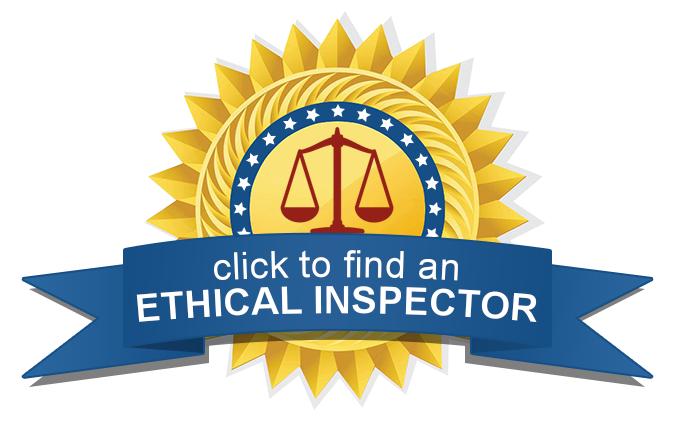 When you become an Ethical Inspector, you become listed on the ethicalinspectors.com website. This enables you to put in your service territories by county, city, and/or ZIP code, and when the ZIP code entered by a visitor matches with your service territory, your company is displayed for the search, along with a description of your company and services, and your contact information. As an Ethical Inspector, you have a dashboard where you can upload a list of real estate agents that you work with and have the ethicalinspectors.com website automatically send invitations to these agents. When agents accept their invitation, the agent gets a Showcase Emblem and Link that when clicked, the agent's branding is showcased on the ethicalinspectors.com website as the 'compliments of' and your company will be showcased at the TOP of the search list of any searches that match your service territory. To apply to become an Ethical Inspector, you are invited to submit the online form available in the "Application" section above. We will evaluate your fit as an Ethical Inspector, and you will be notified of the results within 1-2 weeks. When applying to become an Ethical Inspector, you commit to adhering to a strict code of ethics. This adherence is a cornerstone for you remaining an Ethical Inspector. If feedback from clients, agents, and/or peers indicates a lack of respect for this code of ethics, this will precipitate your removal from being an Ethical Inspector.